A monster eccentric propagative art pop opus!!. 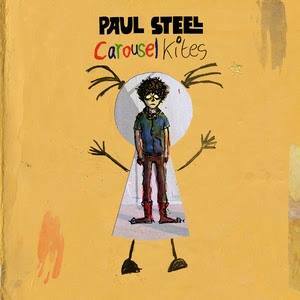 Actually set up as a sequel to his 2007 ‘April & I’ release, which was his last offering to the world as a solo artist named Paul Steel, the official title became ‘Carousel Kites’ with a subtitle of such (formerly to be named ‘April & II’). It took Paul ten years to find the time and place to produce this newest gem, due to becoming a husband, father, and provider with a substantial job. After years spent in producing other artists music, and working in the commercial pop world, just to make a living, Paul has arrived once again with music he actually wants to do and has dreamed of doing since a teen. His first full length was ‘Moon Rock’ (2007) and big names such as Andy Partridge (XTC) paid attention to Paul’s talent. A couple of singles and then ‘April & I’ , Paul seemed to disappear off the map for the lush grandiose pop/power pop/Beach Boys/plus eargasmic music that he made in those works. He does have notable work in a duo with Murray Macleod called Cold Crows Dead (and also a more obscure EP as CCD under the name LL Cosmonaut, which could give The Buggles a run for their money). But this is the year of 2018 for a brand new solo that is equally mysterious, fully loaded with talent, slightly rebellious, epic, and filled with a few more strands of music influences. A grand master of songsmithing, who should have a doctorate degree to inject everyone on the planet with a dose of happy feel good music, Paul took the sounds of 10CC, ELO, Pilot (emphasis on Ian Bairnson, William “Billy” Lyall, and David Paton), Queen, Jigsaw, Stackridge, and New Musik, then on this release he adds a whole new platter of nods to Moody Blues, Steely Dan, Beagle Boys, Breant Cash, America, CSN & Y, and Jeremy Enigk. What a box of chocolates it is! 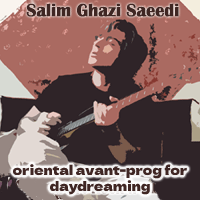 The tunes are divided into three parts consisting of 15 tracks that will grab even the most persnickety music lover. This is top shelf pop music with harmonies from heaven, giant hooks, epic swoops, and larger than life string arrangements. And this time Paul uses a fairly large ensemble of guest musicians to aid the sweet sounds. Any lover of exuberant electronically fused, orchestrated, baroque pop, artrock and power pop will be falling all over themselves for this. 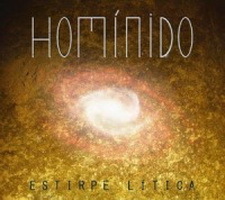 Note that this was originally done through Pledge Music so limited edition copies and various offerings were given. An extremely cool large booklet with keyhole in center was issued (ltd ed of 300) and just recently another batch of physical CD’s have been reissued, although not the oversized booklet, but so well worth owning. There is nothing like a physical format to hold and cherish the rest of your life. The adventuresome pop addict and the progressive pop devotees far and wide will thank their lucky stars to hear music such as this, which simply does not exist anymore. Give heed to an independent thinker, shaker, prodigy, masterful composer/arranger/musician, who has returned to claim his throne. Paul refused to sign with big labels, and play their control games, and all these years, we the music lovers get the rewards. The world receives a rare and prized gift. As colorful as a store full of oriental kites (yes I said it), and a disc of generous unbelievably arresting pop songs, colossal in depth, width and scope, Mr Paul Steel bestows ‘Carousel Kites’ to you! MOST HIGHLY RECOMMENDED!!! !